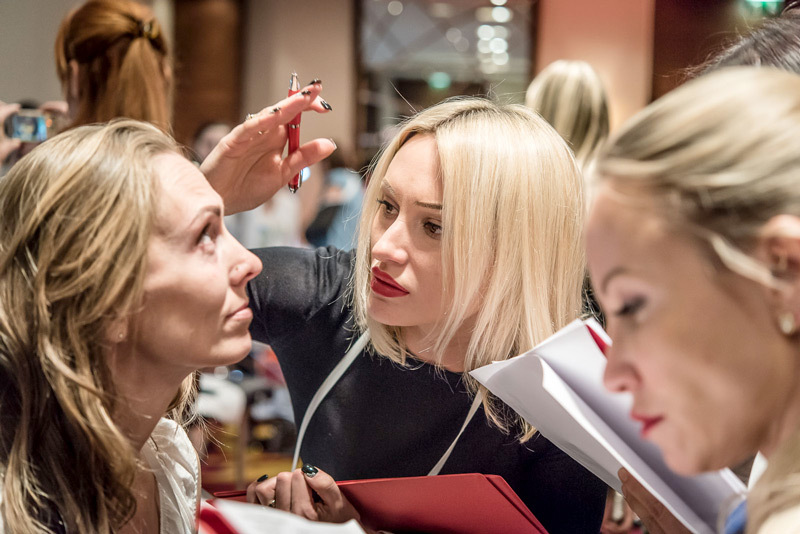 Learn all the secrets of Permanent Make-Up skills. Be the Real Master. Be with Us! Why shall you visit our Master Classes? It is very necessary. Most of our students come back for further studies and that is the best sign! Are used all across the world of PMU. There are hundreds of classes designed after our techniques, but it is always best to study from the original! 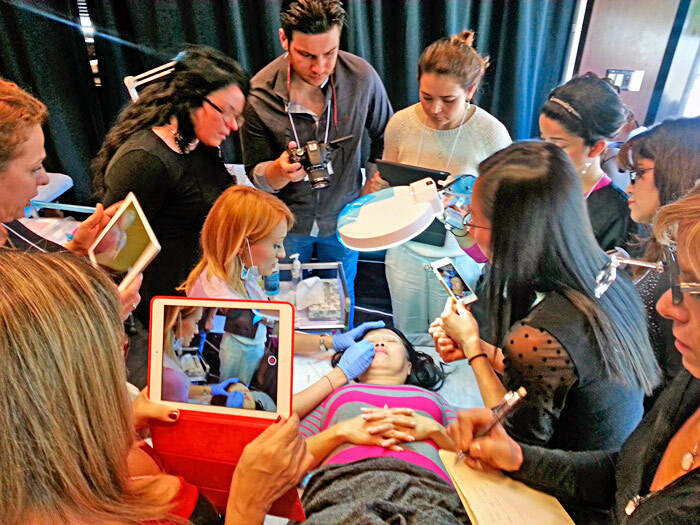 More than 30 master classes each year and believe that our expertize and competence is on a high level. 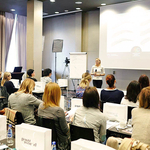 Master classes we guarantee the individual approach even with an auditory of 50 people. Gets all the unique study materials and a DVD that are not on sale and available only for our students. Examples of works by Natalia Yeremenko are loved by everyone. The results speak for itself! Where do the master classes take place? 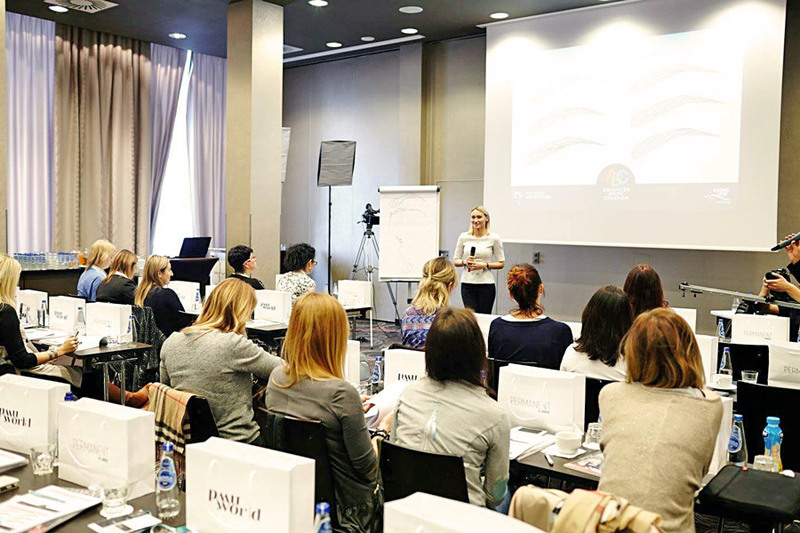 All the master classes from 1 to 8 participants will be held in Esteticline studio and academy, in Tallinn, Estonia, European Union, at the address: Tartu mnt 83, Tallinn, second floor. The master classes are 7 - 8 hours long, we start at 10:00 am and finish at 6:00 pm. Lunch break: at 1:00 pm - 2:00 pm. How can I register to the master class? Please, fill out the registration form on this page with your Name, Surname, Mobile number and choose one of the open dates from the calendar. What do you do during the master class? 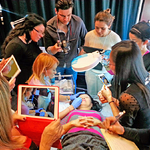 The master class consists of a theoretical and practical part. Master’s theoretical presentation, explanations and step-by-step drawing on a paper board. During the first theoretical part the master teaches fundamentals of the technique. She works through the fundamentals of the technique with the participants on paper and training latex. During the second part, students practice on a latex under the supervision of the master and later the master demonstrates the technique on a live model. In the final stage, the master answers questions and hands out certificates. What shall I take with me to master class? Recommended items to have with you: special clothes, second pair of shoes, your own machine and consumables for the machine. Consumables such as latex, paper and pens are provided by the studio. 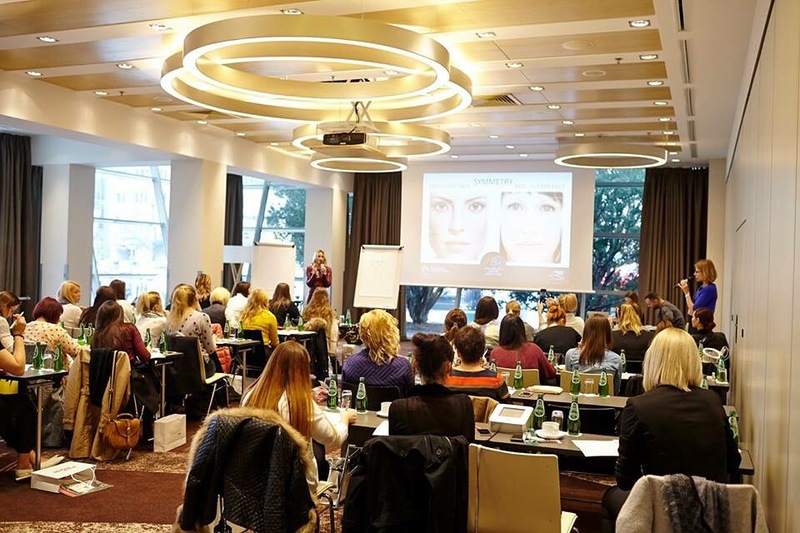 The participant is recommended to use personal permanent make-up machine, because in the future participant will work on the same machine with clients. If you need a machine from the studio for the master class, please, inform us about it in advance. Not recommended: to book checkout from the hotel on the day of the masterclass. Prohibited: to make photo or video recordings during the master-class. How can I pay for the master-class? Advance prepayment in the amount of 30% is made according to prepayment invoice that will be issued to you after you fill out the registration form. Prepayment according to a prepayment invoice is a confirmation of your participation. In case of cancellation caused by the fault of participant, the advance payment will not be refunded. How can I get from the airport to hotel? We are glad to provide a free transfer from Tallinn airport to your hotel, so please inform us about your flight details in advance by emailing us at info@ny-masterclass.com and we will meet you at the airport. Where can I stay during the master class days?